It’s a laborious thing to argue with oneself, and doubly so when half of the mental arguers seem to be suicidal; it is not an endeavor that should be undertaken lightly. Terrence Malick is, to quote unheralded film scholar Dominick Grillo (Disclosure: also the author of this piece), “a pretty damn good director. Maybe even a little better than that.” From the twin successes of Badlands (1973) and Days of Heaven (1978) to more recent critically acclaimed fare such as The Thin Red Line (1998), Malick’s films are recognizable for their atmospheric mood; ethereal worlds of slow burning beauty that often better resemble perfectly captured still photographs than motion pictures. But has Malick’s more recent films fallen too deeply into the realm of atmospheric muck? 2005’s The New World, Malick’s retelling of the story of John Smith and Pocahontas, divided critics who couldn’t come to a consensus about whether the arresting story and style overcame a sluggish narrative. 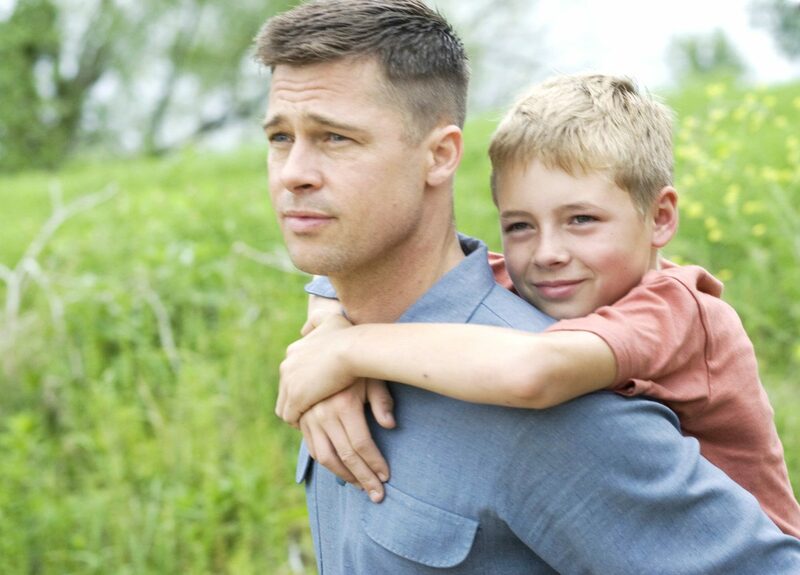 Malick has always been unhurried about building his stories, and The Tree of Life offers another test of his audience’s patience. When the film was released in 2011 it was heralded as an instant classic, a return to form for the auteur. Its acting, cinematography, and willingness to depict some truly expansive ideas – e.g., the entire history of Earth and its people – enabled critics to gloss over the most glaring problem with the film. Much too often I found myself wanting the film to simply progress at a normal speed, but it seems as though memories of suburban life in the ’50s is an area where slow-motion cinematography is essential and ever-present. One opinion is that because The Tree of Life is experimental, it should be rated and examined differently than traditional films, as though labeling a film as “experimental” should give it both a pass for moving slower than the deformed offspring of a sloth, snail, and sea urchin, or justify the lack of traditionally interesting cinematic elements. Darren Aronofsky’s Pi is experimental, but also happens to be thematically strong. The images are wild and the narrative may be obtuse at times, but the story refuses to be weighed down by its more unusual aspirations. 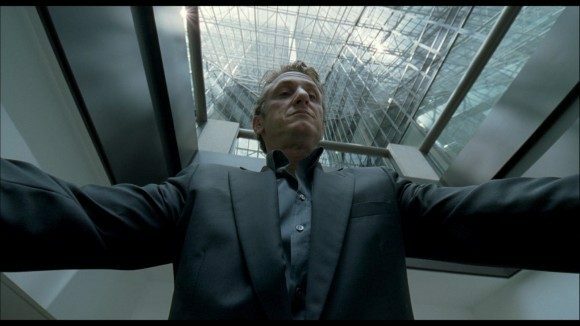 While The Tree of Life spends its time gracefully flowing through time, an exercise that proves wearying by the end, Pi charges forward at the hand of an auteur who doesn’t have a moment to waste on repeating the same (or similar) static shots over and over again. Likewise, Japanese auteur Shinya Tsukamoto, famous for his kinetic cyber-punk thrillers, broke into the global consciousness with 1989’s very experimental Tetsuo: The Iron Man. It may be somewhat weaker than much of Tsukamoto’s later work, but is still interesting, bizarre, and very fresh cinematically. Perhaps the best connection between directors lies between Malick and David Lynch. Lynch shares Malick’s penchant for making films that are unusual, experimental, and leisurely paced. But while Lynch’s films often hide their meaning and can be frustratingly cryptic, the sheer amount of bizarre originality keeps them from dragging. On the other hand, Malick’s tricks are more along the lines of cinematographic flourishes; the beautifully painted landscapes are additions to what is (usually) a fairly conventional narrative plot. To a large degree, Malick is experimental because of his extreme lackadaisical pace. He isn’t bringing radical new ideas to the table like the previously mentioned directors (and the numerous who aren’t mentioned); instead, he is focusing on the stark, realistic beauty of life. A worthy goal, to be sure, and one that he has successfully addressed in prior films, but never before has he constructed a film that is so devoid of movement and so full of stasis. His focus on this beautifully realistic version of American suburban life is admirable, but that doesn’t stop it from being boring to watch. Is there another director (past or present) who focuses so intently on making these grand masterpieces? Tarantino springs to mind, but his films feel incredibly modern – even futuristic – compared to Malick. While Tarantino runs around frantically inside pop culture, Malick seems to float high above: classical, slowly spinning, and assured. It’s a style from a bygone era; the blood of some renegade director from long ago seems to flow through Malick’s veins as he sets out to impose his specific type of beauty upon the world of today. Though even if it fails spectacularly, isn’t the attempt still inherently more interesting than a well-made, but paint-by-numbers, Hollywood film that brings nothing new to the cinematic experience? If we are not expected to positively rate The Tree of Life because of its experimental or epic aspirations, than we must critically examine it as the film it is; and that film is one that drags on and on and on. Sure, there are some very nice things at work in the film: the mediations on science and God, the look at the life of a single American family over the course of time and the comparisons to the history of us all, and the beauty of the simplest moments. But the thin narrative thread that holds these images and ruminations together is frayed and snaps apart (i.e. ; the viewer’s attention is lost) completely before conclusions can be drawn. A film doesn’t have to be enjoyable to be a success – certainly not. But it should inspire some kind of strong emotion that is beneficial for its viewer. A film that fills its viewer with curiosity and interest may inspire that viewer to learn more about the subject, create a similar film, develop new ideas, or any number of other things. A film about a repugnant subject may instigate its viewers to change their lives – which could be a positive or negative change. But what is the benefit of a film from which I primarily receive boredom? Make it interesting or make it sad or disgusting or unbelievable or annoying or awe-inspiring or hateful, but keep it as far as possible from boring. Stay true to the cardinal rule of cinema; don’t be boring.